Between 1990 and 1993 artist George Rodrigue painted sixteen portraits on three canvases of Living Legends for Louisiana Public Broadcasting. The 1990 honorees and Rodrigue’s tribute painting launched an LPB tradition continuing today. 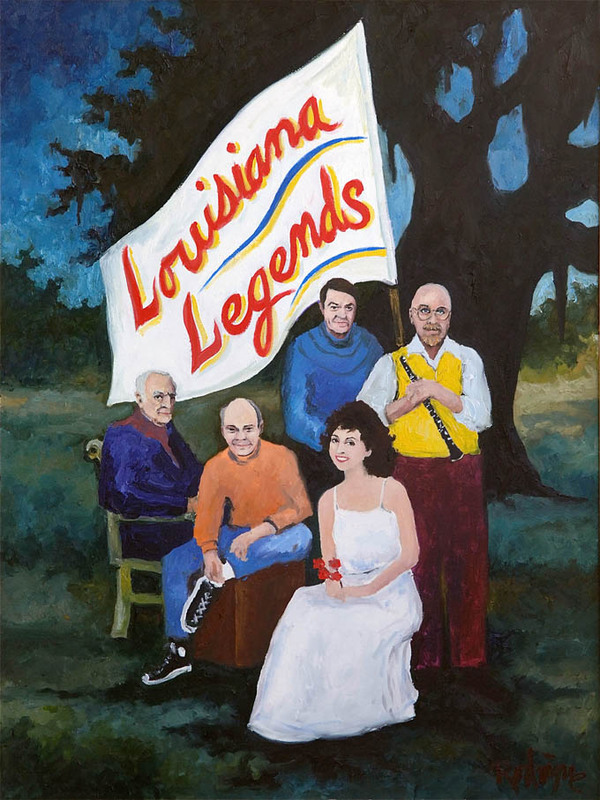 All proceeds from posters of the three paintings benefited LPB’s television programming. 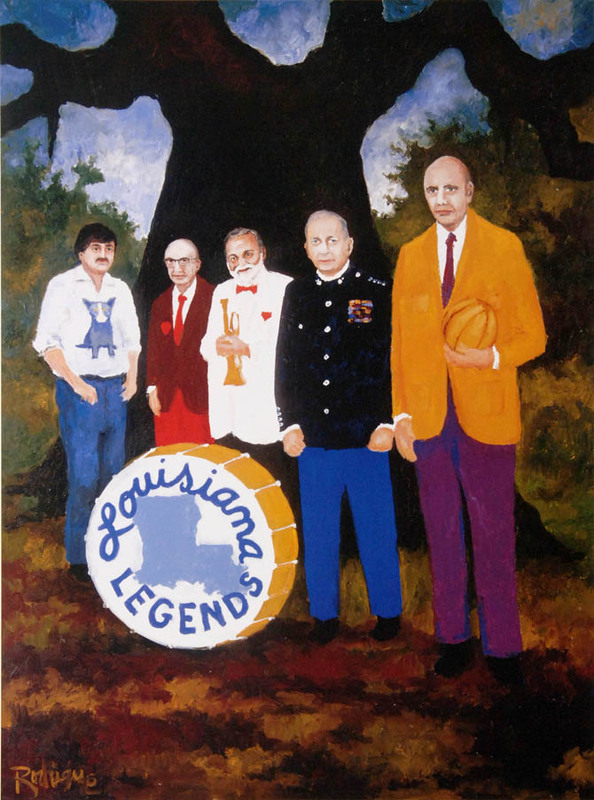 In 1991 LPB honored Rodrigue as well, resulting in a self-portrait. 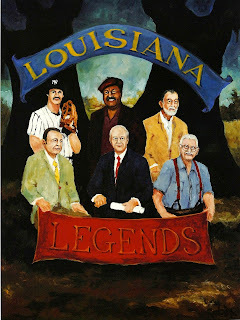 The artist was as famous by this time for his Blue Dog paintings as for his images of Cajun folk life. And in 1993 Rodrigue’s final LPB painting echoes his first two with his classic oak tree and timeless figures. He opened the curtain, revealing Jimmie Davis (1899-2000) and his band. Great post, especially the story about Jimmy Davis. In the 1980's and right up until Jimmy Davis' death, Marion would make an appointment with he and Ms. Anna and we'd drive to their Capital Lakes home. The two of them would ask their piano player to join them and M.s Anna would accompany the Governor as he crooned a gleefully and sorrowfully as ever. Strong, loud and clear. I guess I was lucky enough to enjoy a half dozen or so such private home concerts, once bringing my Mother who joyfully remembers it. A few special friends once came, also. Marion's great music loving friend, Ted Jones, sometimes joined the Davis' by singing along and strumming his banjo. "Those were the days of pure Sunshine". The Living Legend star quality sure rubbed off on George!